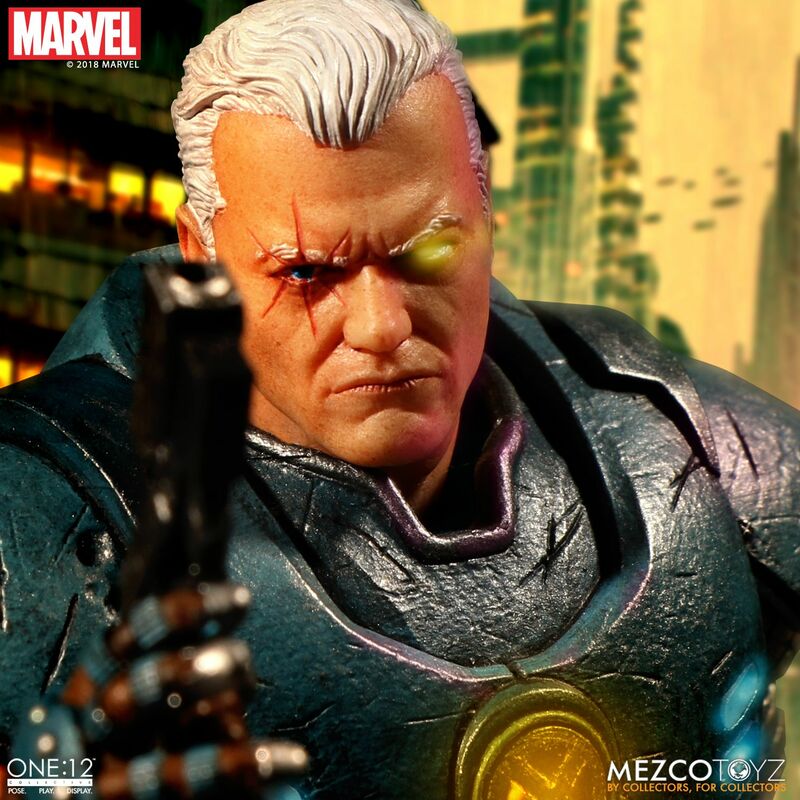 The One:12 Collective Cable figure from Mezco – AiPT! Can Mezco do wrong? No, they cannot and here they are again killing it with the One:12 Collective Cable. Check out the details below, this guy looks awesome! And the accessories! I love accessories! The One:12 Collective Cable figure features a light-up function that illuminates his chest armor and techno-organic eye in both of his head sculpts. The telekinetic mutant features a newly sculpted cybernetic arm and is outfitted in a sleeveless shirt with chest armor, duty belt with gun holster, and a leg holster with knife sheath. Cable comes complete with a devastating arsenal of advanced weaponry.